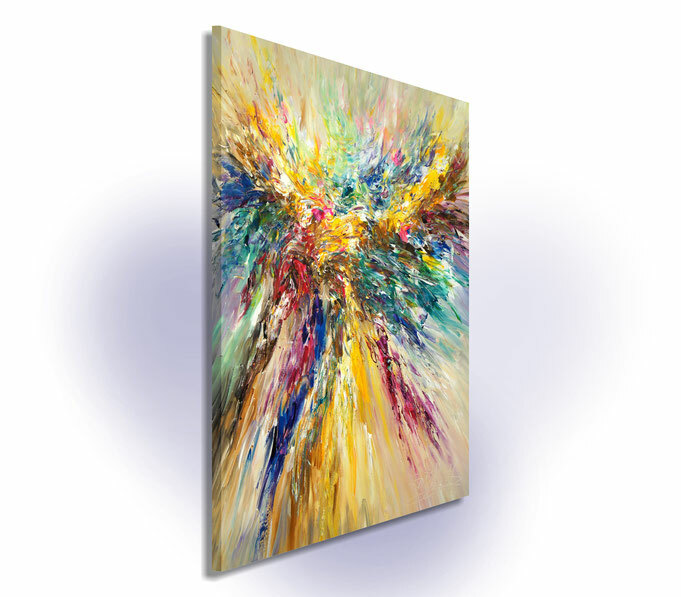 33.5" width x 47.2" height x 1.5" depth. 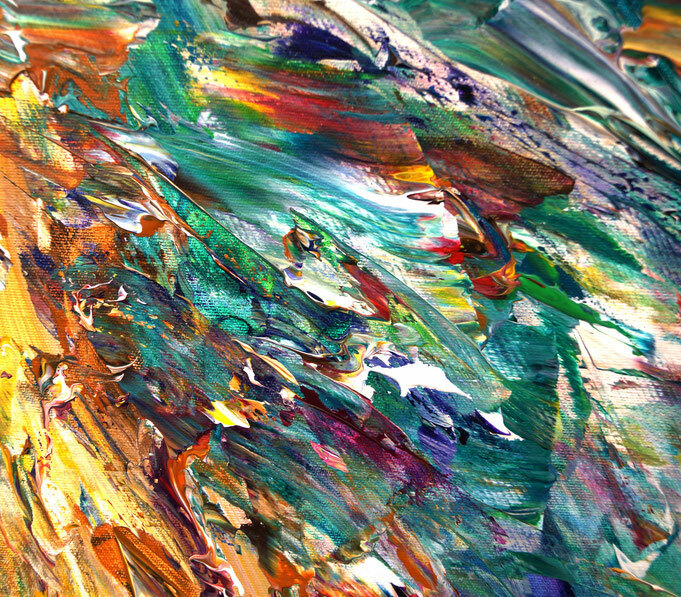 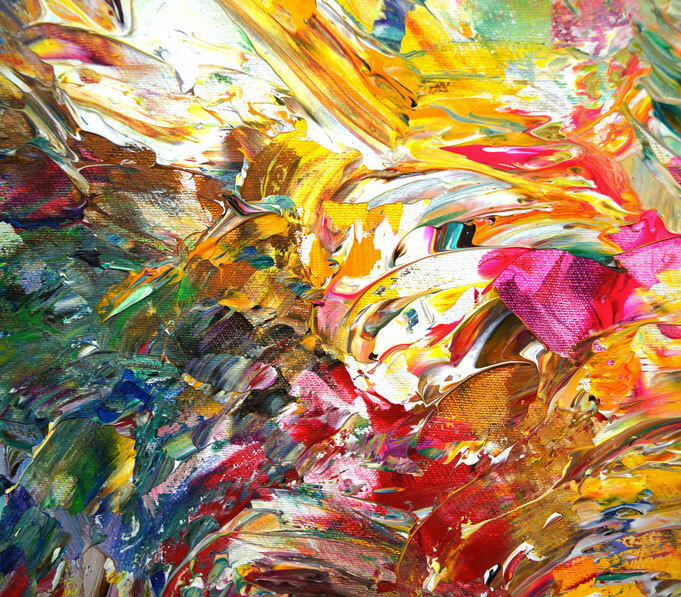 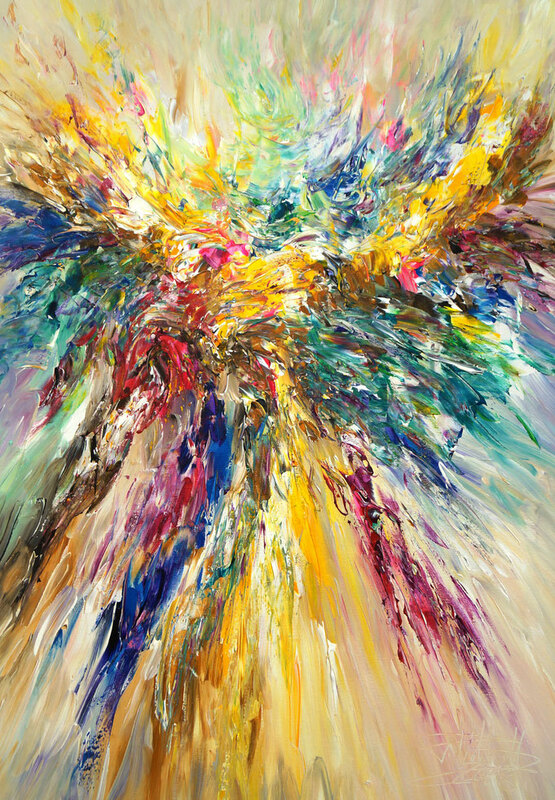 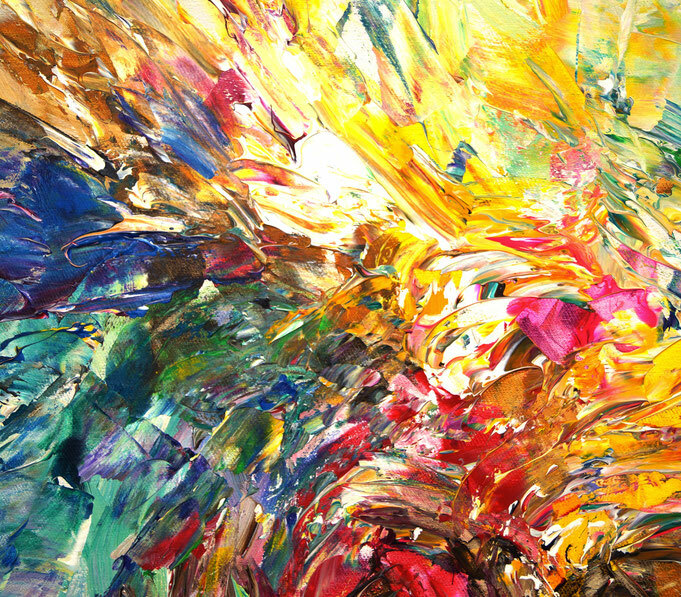 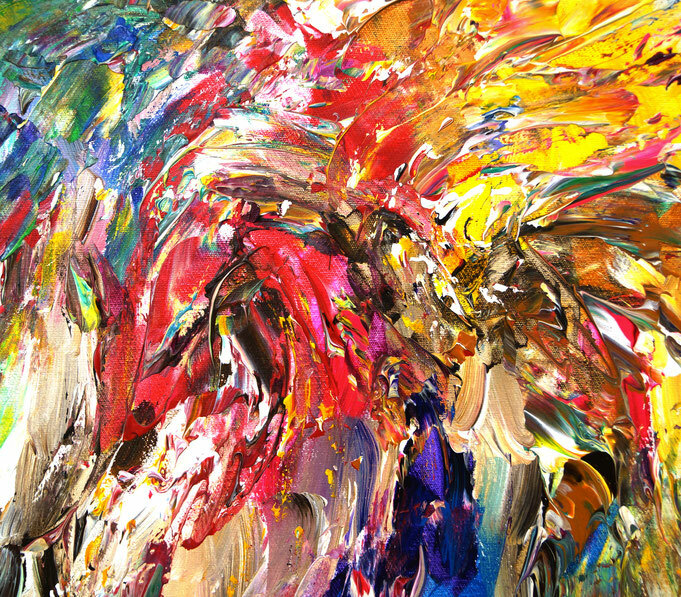 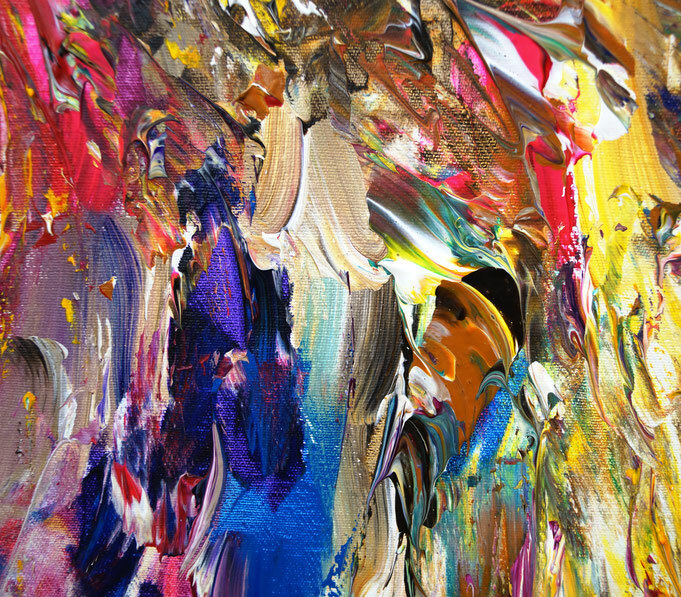 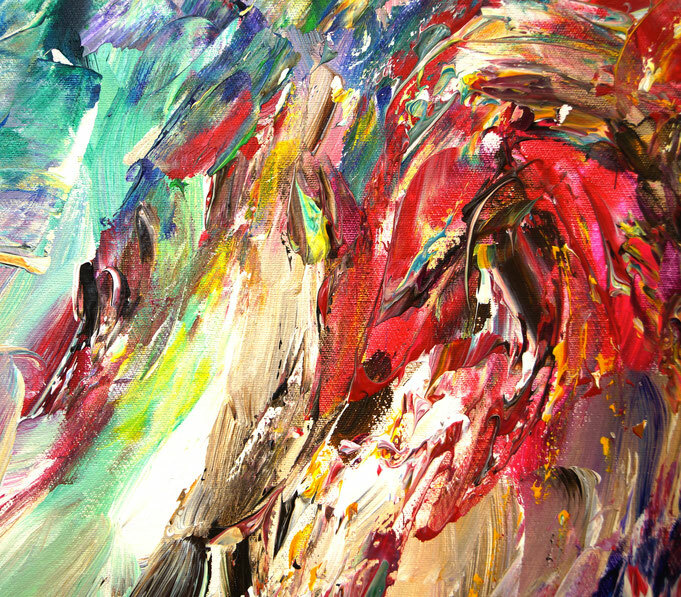 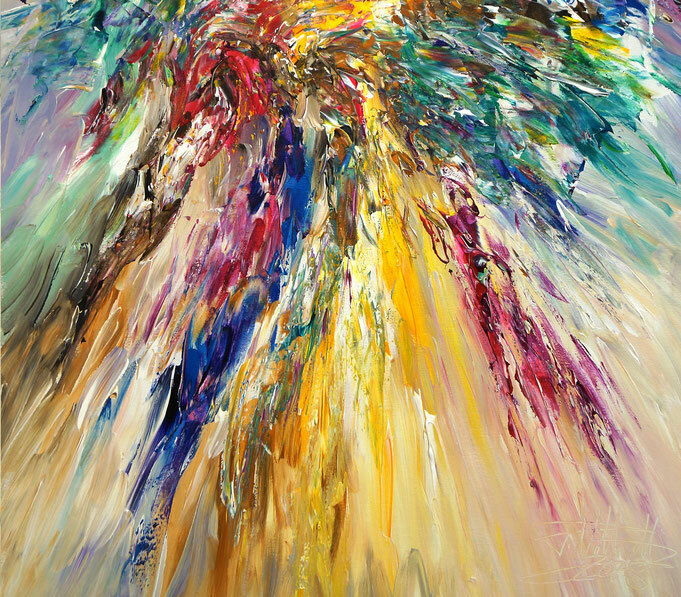 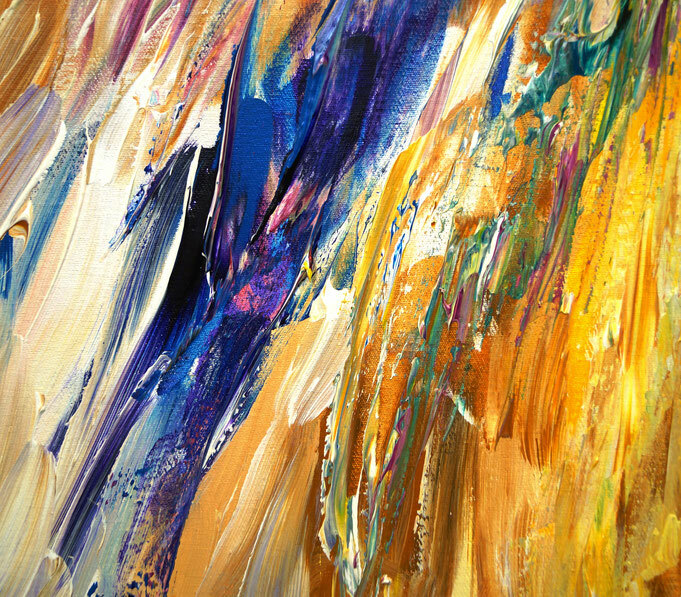 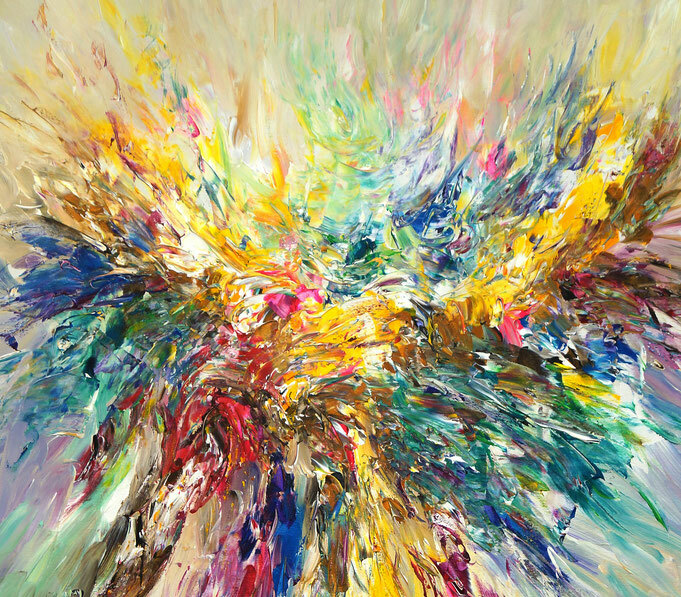 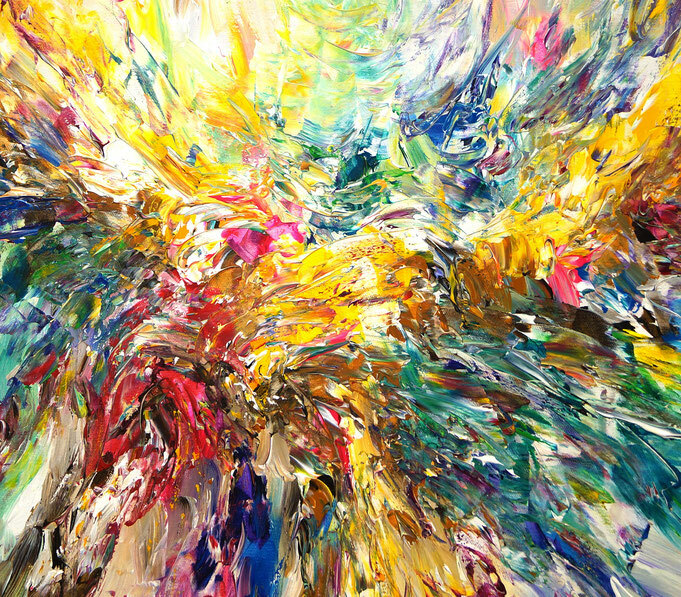 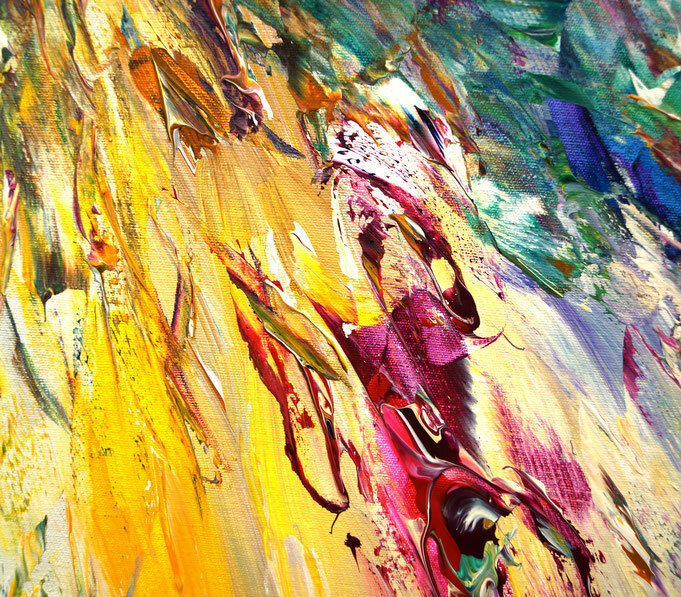 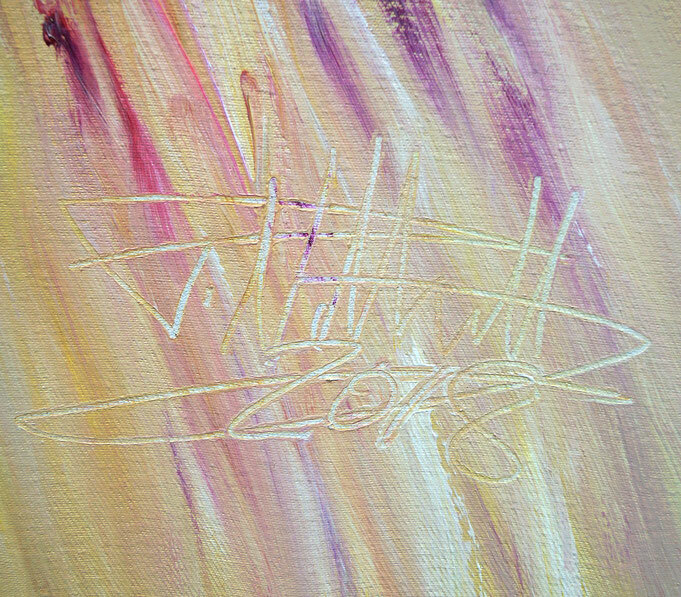 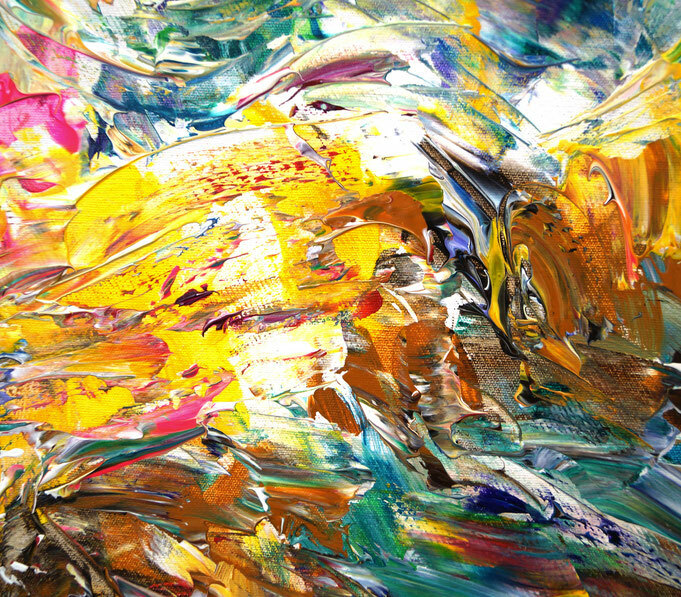 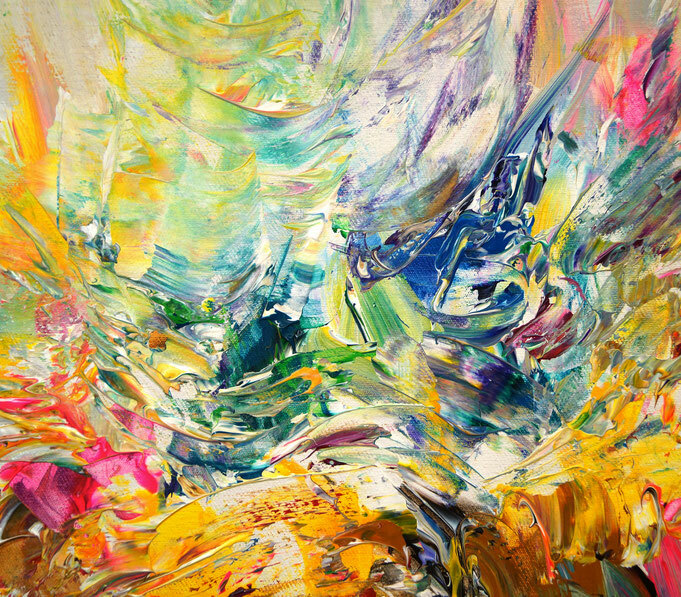 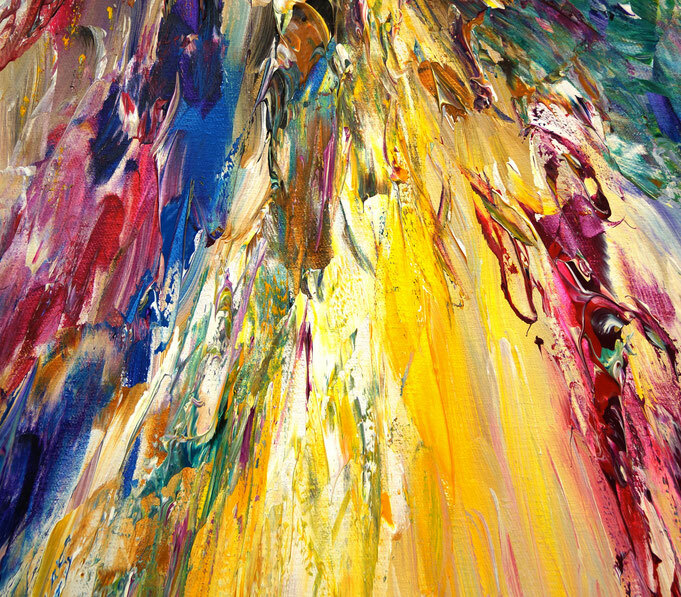 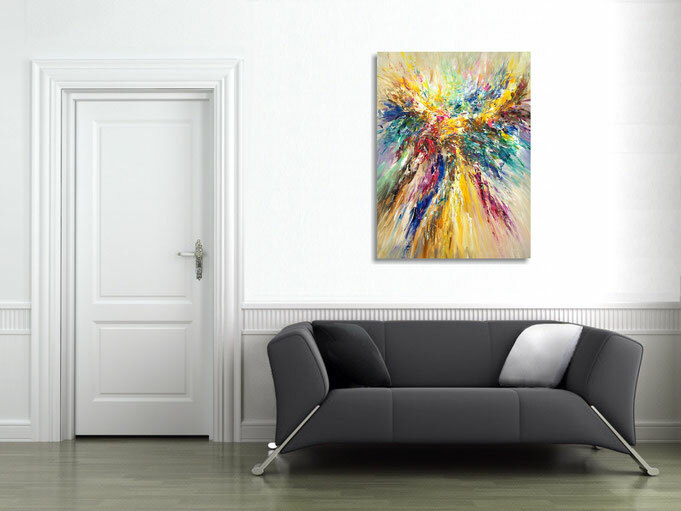 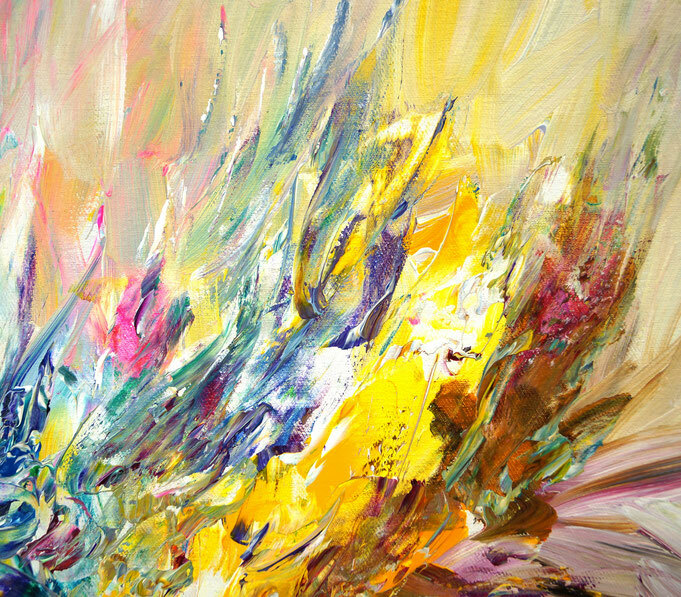 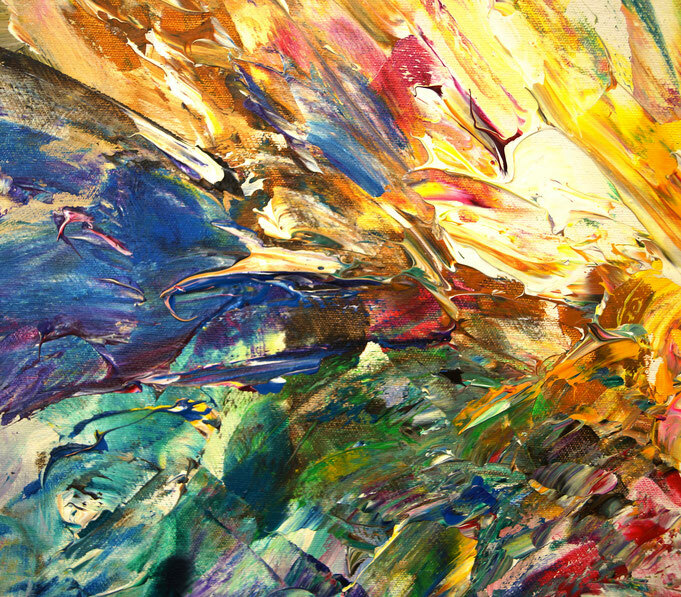 The energy that often accompanies the feeling of freedom seems to be emitted from the abstract painting. 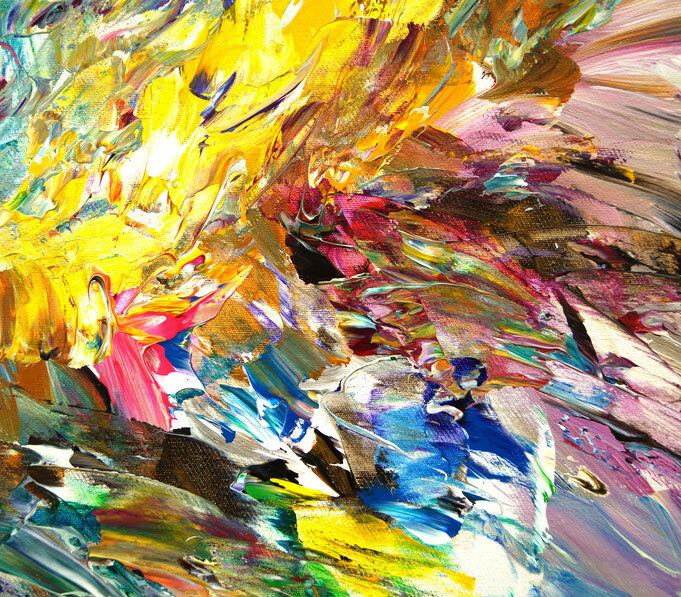 A dynamic yellow-colored color composition.